Semyon Chudin and Olga Smirnova in Diamonds. Photo by Elena Fetisova for the Bolshoi Theatre. I decided to sidestep the issue by going to see only a very limited number of performances, mostly things I had missed and was curious about, or artists that I’ve heard a lot about but had never seen. As part of Focus Dance, I caught a program that combined Jean Butler’s Hurry with Mark Haim’s This Land is Your Land, both made last year. Michele Wiles’ chamber-sized BalletNext presented an evening of ballets by Brian Reeder at the Joyce. 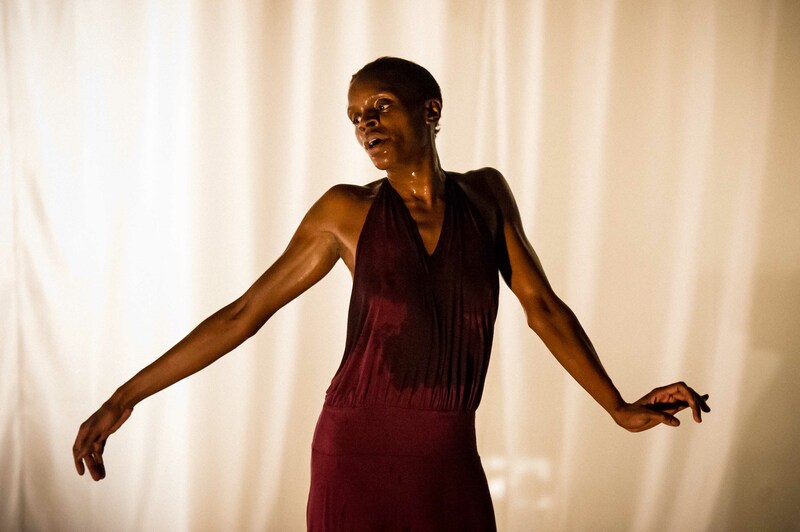 At the COIL festival, presented by Performance Space 122, the dancer and actress Okwui Okpokwasili gave her new one-woman show, Bronx Gothic. And on Jan. 19, Ballet in Cinema broadcast a live performance of Balanchine’s Jewels at the Bolshoi, starring the young and really quite spellbinding ballerina Olga Smirnova in Diamonds. A real mishmash, for sure, but not without its highpoints. 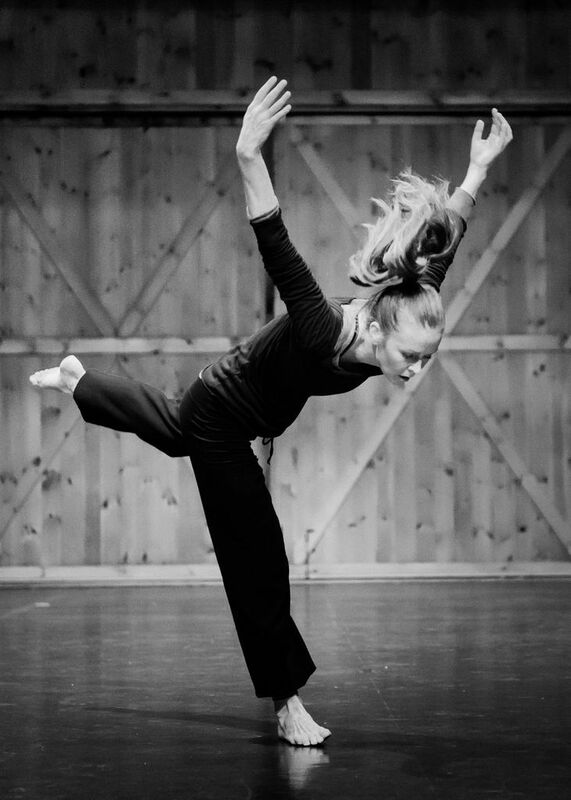 Jean Butler, a former Riverdance star, is a beautiful dancer seemingly intent on re-learning what it means to dance. Despite the title (Hurry), her piece is a slow burn, even at thirty-five minutes. In it, she deconstructs the footwork and jumps of Irish step dance, but never once uses her bare feet to mark a rhythm. In fact, Hurry, has no rhythmic pulse at all; Butler has removed this tool from her arsenal, while preserving the exactitude of her training. She explores different aspects of her technique: rolling through her high insteps, curving her long, lean lines, jutting a hip, walking in a diagonal with an awkward, crab-like gait. Like Colin Dunne, another master of Irish dance, Butler has turned her back on flash and virtuosity (and straight linds) and decided re-learn the ABC’s. As one might expect, the show is a little dry, and very inward-looking, but the shapes are beautiful and one can’t help but feel curious about what Butler will do once she gets around to putting things back together again. Mark Haim Dance and Theatre in This Land is Your Land. Photo by Mark Summers. The companion work, Mark Haim’s This Land is Your Land, is a clever piece of Americana, in which fifteen dancers trace the same diagonal lines over and over and over in front of a striped curtain. Back and forth they go, slipping beind the curtain only to reappear again on the other side, clutching paper cups from Starbuck’s, cell phones, and, later, pistols. To a mind-numbingly steady beat, provided by country songs hollering about all-American values, they walk, prance, stagger, and march. (Will I ever get “God Bless Texas” out of my brain? Please?) The idea is amazingly simple, and largely successful: America, land of the free, of the well-fed, of the armed-to-the-gills and status-obsessed. Haim’s imagery—happy folk marching into the future—reminded me of the video that plays on a loop at passport control at JFK from, representing an ersatz America full of slightly sinister, smiling folk. Welcome! We’re nice! And insane! An elderly gentleman sitting near me laughed with unabashed delight for practically the full thirty minutes This Land lasted. There’s no doubt that Haim is onto something; eventually the monotony of the actual steps gets under your skin and you start to sort of bob along (though I’ll say that the piece felt a good 10 minutes too long). It’s also refreshing to see performers of such varying physiques—tiny dancer bodies next to middle-aged soccer-mom bodies next to fleshy biker bodies—moving together with total equanimity, even when they all strip to their birthday suits. Everyone’s equal and no-one’s ashamed. Okwui Okpokwasili in Bronx Gothic. Photo by Ian Douglas. American girlhood is the subject of Okwui Okpokwasili’s Bronx Gothic, a one-woman-show about the friendship between two 11-year-olds. The semi-autobiographical work, in which Okpokwasili sings and speaks and performs a strange juddering, semi-possessed-looking dance is a theatrical tour-de-force. She play both girls, acting out an imagined (or perhaps re-created) conversation between them. The dialogue is written out on torn notebook pages scattered across the floor, which Okpokwasili periodically picks up and reads into a microphone. The correspondence paints a scorching picture of sexual awakening, envy, manipulation, and psychological browbeating. “You so ugly,” one tells the other, “I’ll tear your head off.” In the movement interludes, Okpokwasisili’s eyes have a wild gleam, as if she her body were extruding an ugly beast. Her limbs buckle, she falls to the ground with a loud splat. It looks painful and sweaty. The final element is a kind of chorus; Okpokwasili repeats the question, “Am I awake?,” over and over, like a mantra. How much of what Okpokwasili is showing us is imagined, how much is real? The décor is intimate; a corner of the large nave of St. Mark’s church has been framed off by white curtains, leaving a small square gently illuminated by small lamps, scattered at Okpokwasili’s feet. This could all be taking place in Okpokwasili’s childhood bedroom. There is no other décor; the soundscape, by Peter Born, consists mainly of street sounds, alternating with a kind of drone. Each element of Bronx Gothic is engrossing in itself, but it can be difficult to understand the logic that ties them together. Eventually the alternation between recitation, movement, and sung passages becomes predictable–the piece holds no more secrets or surprises. Storytelling wins out: all we care about is knowing what happened next. Okpokwasili’s extrardinary intensity and rangy physicality are what keeps us engaged. Olga Smirnova and Semyon Chudin in Diamonds. The Bolshoi has been performing Jewels since 2012, when it was staged for the company by Sandra Jennings, Merrill Ashley, and Paul Boos, all of whom danced for Balanchine. Despite differences in style, the Bolshoi’s Jewels looks and feels like the same ballet we see in New York, more so than when it was danced by the Paris Opéra a few years back. Te weakest of the three parts was Rubies—unsurprisingly—where the dancing looked more pert and steppy than jazzy. The syncopation wasn’t syncopated enough, the rhythms not sharp enough. In the amazonian soloist role—nightclub femme fatale— Ekaterina Shipulina lacked the almost masculine brashness and physical daring needed to maximize Balanchine’s oblique, off-balance lines. Shipulina was solid and accurate, but too vertical, not brassy enough. The men in Rubies—and lest we forget, the central male role was created for Edward Villella—looked more like frolicking fauns than little bulls scampering down the streets of Queens, one step ahead of the police. The opening ballet, Emeralds, fared better in terms of atmosphere, mainly because of the dancers’ plush use of their upper bodies (New York City Ballet, take heed!). But Anastasia Stashkevich was behind the beat most of the time, and this had the effect of flattening out the choreography and making it seem more banal than it is. Bot Stashkevich and the other ballerina, Anna Tikhomirova, gave almost syllabic interpretations of the steps, with few moments of tension, delay, or accelleration. On the other hand, in the first pas de deux, in which the man and woman find themselves lost in a kind of metaphoric forest, Tikhomirova and her partner Ivan Alexeyev created an aura of chivalric romance that felt just right. Diamonds—again, unsuprisingly—was the best of the three sections. In fact I think it looks better on the Bolshoi than it does ‘round these parts, because the Bolshoi dancers use their ample épaulement and articulate arms to embue it with an aching largesse, without losing any of the dynamism in the steps. They fly across the vast space of the stage. Like Theme and Variations, Diamonds is a précis of the final movement of Sleeping Beaty, and this imperial aura suits these dancers, with their exquisitely tapered limbs and proud heads, not to mention their perfectly-matched port de bras and synchronicity of movement. But they also understand and respond to the lilt of a Russian melody that returns several times in the scherzo movement, changing the texture of the movement. But the real revelation was the young ballerina Olga Smirnova. She is one of those dancers who take your breath away, extraordinarily long and creamy of limb, pliant, innately dramatic, deeply musical. In a 2012 review, the British critic Clement Crisp of the Financial Times wrote that Merrill Ashley told him, while setting the ballet on the Bolshoi: “You must see my ballerina in Diamonds. She’s prodigious…She has the most exquisite upper-body, and a magical presence.” Only twenty-one, Smirnova dances with an authority and imagination far beyond her years, as if moving through a dream. Her upper body is indeed exquisite, lush and generous and deeply expressive, without mannerisms or exaggeration. Beautifully trained (as all these dancers are), she manages to transcend technique, weaving the steps into an intimate story. Like Suzanne Farrell, for whom the role was created, she immediately claims the ballet as her own; it’s her story. This summer, the Bolshoi will perform Don Quixote, Spartacus and Swan Lake at the Lincoln Center Festival. On hopes Smirnova will perform in at least the latter of the three. Mark your calendars and be prepared to weep. Brittany Cioce & Stephen Hanna in “Surmisable Units.” Photo by Stephanie Berger. A few short words about BalletNext. Charles Askegard, who co-founded the troupe, has moved on to direct Minnesota Dance Theatre, so the troupe is now Michele Wile’s baby, and it looks like that may be a good thing. Until now, it’s been difficult to make out what, exactly, the ensemble wanted to be, but the picture may be becoming clearer. The program at New York Live Arts contained three works by a single choreographer, Brian Reeder. Reeder, like Wiles, is a former member of American Ballet Theatre, and a versatile, musical, and imaginative choreographer. His combinations of steps may lack a certain sense of just-rightness—choreography doesn’t seem to come naturally—but he avoids clichés and listens closely to the music, finding a specific style for each ballet. But more importantly, in chosing him Wiles has made a clear choice, committed to a choreographer, set an agenda, rather than dipping her toe into various disconnected styles. She’s in control of her company’s vision and that comes across in the dancing. Another important choice is her commitment to live music, even if this means using one or two musicians instead of a recording of a symphony orchestra or pop songs. It’s a choice that leads to the exploration of a varied, challenging musical repertoire rather than falling back on the go-to composers (Arvo Pärt, David Lang, Philip Glass.) The evening included works by Benjamin Britten, Shostakovich, and Steve Reich. (Ok, Steve Reich is not that unusual, but still.) A good reason to attend a BalletNext performance is the chance to see young musicians grapple with these pieces. Ben Laude, a doctoral student at Juilliard, was astounding in his execution of the infinitely minute variations on a single theme that make up Steve Reich’s Piano Phase. The work is for two pianos set at an angle to each other—the pianist sits in the V formed by the two instruments, playing one instrument with his left hand, the other with his right. How he can do this without any variation in dynamics or tempo, and without his fingers cramping up, is a mystery. Reeder’s response to Reich, Surmisable Units, is one of his most stylish and fluid. The dancers stream across the stage in twos and threes, twisting torsos, bourréeing backward, tracing vigorous semaphores with their arms. They arrange themselves into clean formations like dots in a computer diagram, then re-organize and reconfigure. Sometimes Reeder speeds up the steps so much that the dancers look as if they were on fast forward; in other sections they are almost still. 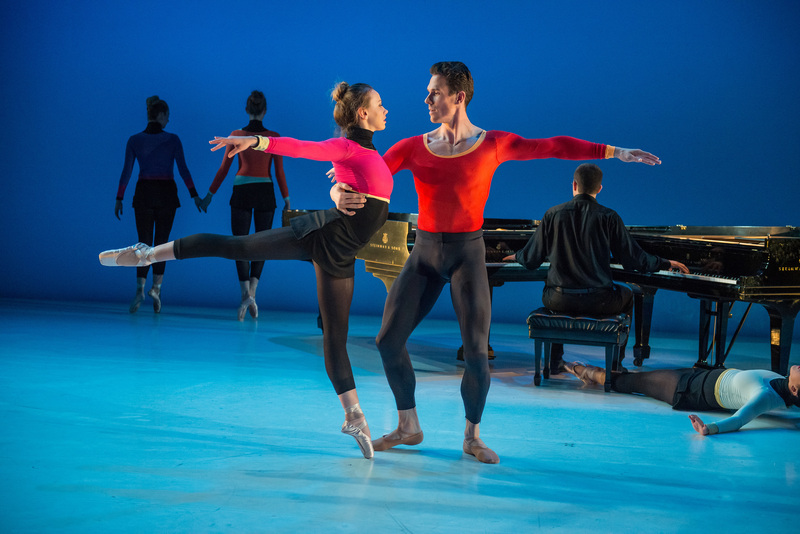 There are shades of Robbins’ Glass Pieces and even of Justin Peck, as when Reeder uses of the space beneath the pianos, but who cares, dance, like every art, is an amalgam of appropriation and invention. The company looked particularly strong in this piece. Wiles has lost none of her formidable technique, especially her ability to balance and turn; the pointe shoe is her natural habitat. (She could tone down her facial expressions now that she is performing in small spaces.) And she has chosen an impressive group of of dancers, dynamic and strong. BalletNext is starting to look like a company.